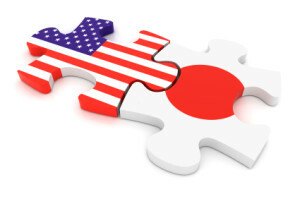 USD/JPY is almost unchanged in the Tuesday session. In North American trade, the pair is trading at 109.87, down 0.03% on the day. On the release front, there are no Japanese events. In the U.S., ISM Non-Manufacturing PMI dipped to 56.7 shy of the estimate of 57.2 points. Later on Tuesday, President Trump delivers the State of Union address before Congress. On Wednesday, Federal Reserve Chair Powell will speak at an event in Washington. The U.S-China trade war has rocked the equity markets and dampened global growth. This has lessened demand for Japanese exports, which in turn has dampened the manufacturing sector. Japanese manufacturing PMI slipped to 50.3 in January, down from 52.6 points a month earlier. This was the weakest score since August 2016 and points to stagnation in the manufacturing sector. If the global trade war continues, there is real concern that the Japanese economy could tip into recession. However, investors are cautiously optimistic after the second round of trade talks between China and the U.S. in late January. President Trump is planning to meet Chinese President Xi Jinping ahead of the March 1 deadline, in which Trump has threatened to slap further tariffs on China if a deal is not reached. Investors will be keeping a close eye on President Trump’s State of the Union address. The speech was almost cancelled over the government shutdown, but Trump unexpectedly agreed to provide funding for government services for a 3-week period. Trump will likely mention the deadlock with Congress over the border wall, as well as plans to meet the Chinese president to discuss the trade war. If Trump makes a surprise announcement about a meeting with North Korean leader Kim, the dollar could register gains against the safe-haven Japanese yen.